Chinese companies are also studying technologies developed in the West, Japan and the four tiger economies for suitability and possible implementation. China selects solutions that have proven to work in other countries, indigenize them and then adapt those solutions to fit local conditions. Applying digital smart cities solutions from other countries is challenging as China has installed a Great Firewall so consumers and retailers have to use a cloud-based system for their products and services or a proprietary system to overcome this issue. This case study is derived from a limited circulation background brief working paper for National University of Singapore (NUS EAI): Lim, Tai Wei, EAI Background Brief No. 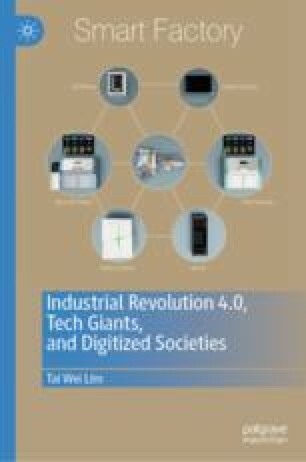 1365—The Rise of Smart Cities in China: Domestic Development and Comparative Perspectives (Singapore: National University of Singapore), 2018. Hu, Yang, “CASIC Helps Chinese Cities Get Smart” dated 14 November 2012 in China Daily [downloaded on 1 January 2018]. Available at http://www.chinadaily.com.cn/business/greenchina/2012-11/14/content_15927027.htm. Hu, Yang, “Smart City: Opportunity and Challenge for Enterprises” dated 15 November 2012 in China Daily [downloaded on 1 January 2018]. Available at http://www.chinadaily.com.cn/business/2012-11/15/content_15935688.htm. People’s Daily Online, “China’s ‘Smart Cities’ to Number 500 Before End of 2017” dated 21 April 2017 in China Daily Online [downloaded on 21 April 2017]. Available at http://www.chinadaily.com.cn/china/2017-04/21/content_29024793.htm. Tabbitt, Sue, “Could China’s Cities Outsmart the West?” dated 2 February 2016 in The Network Cisco’s Technology News Site [downloaded on 1 January 2018]. Available at https://newsroom.cisco.com/feature-content?type=webcontent&articleId=1735469. The Straits Times, “China Outnumbers Other Countries in Smart City Pilots: Report” dated 20 Feb 2018 in The Straits Times [downloaded on 20 February 2018]. Available at https://www.straitstimes.com/asia/east-asia/china-outnumbers-other-countries-in-smart-city-pilots-report.